Here Are Some Classic Le Mans Porsche Wallpapers, You're Welcome! As you probably have heard, Porsche is heading back to Le Mans next year with two hybrid LMP1 cars. And what better way to celebrate than lots of brand new hi-res pictures? Imagine what a party this photo shoot must have been. 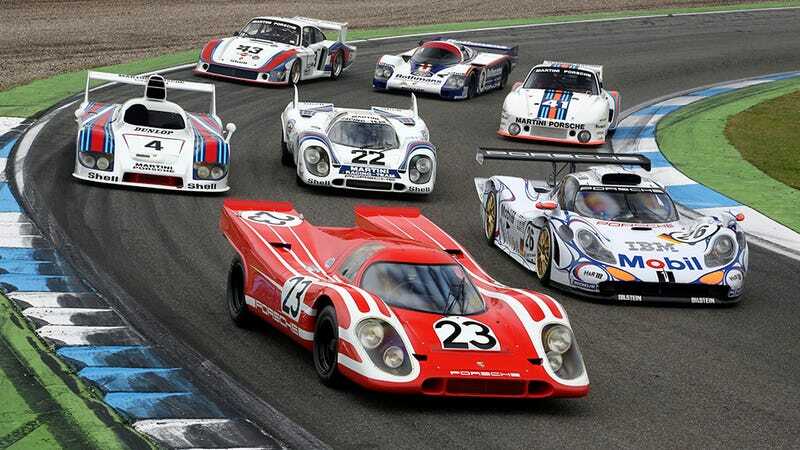 Seven priceless race cars and all the important figures from Porsche's victorious Le Mans history. A true celebration of Stuttgart's finest indeed. And here are the results.